Patients who have had a colostomy or ileostomy surgery need colostomy supplies. Popular supplies like Convatec and Hollister colostomy products are available online from many suppliers who will deliver Convatec colostomy bags directly to their doorstep. Patients will want to be able to find the correct Hollister ostomy supplies, be they pouches or bags, at a cheap price. There are many online vendors who will bill and accept Medicare Part B for colostomy and ostomy supplies. 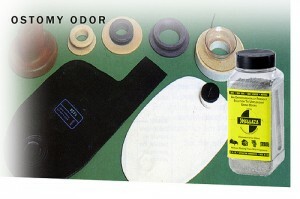 Most will sell a variety of products, including adhesives. Seniors who wish to order ostomy supplies online from a vendor will need to make sure that the company is a Medicare authorized supplier. If so, Medicare will cover 80 percent of the APPROVED cost of the supplies. This would mean that the patient is expected to pay 20% of the approved cost for the Hollister or Convatec ostomy supplies. — Convatec ActiveLife Closed End Pouches that are disposable. These are “one time use” pouches. The two piece Convatec products need to be used with a Convatec Adhesive Barriers in either the Sur-Fit or Durahesive Options. Some of the barriers have new “Moldable” technology for added comfort and secure fit to the patient’s stoma. — Premier Colostomy Bags are a one piece pouch that provides the skin barrier and pouch together. — New Image Ostomy Bags are a two piece Colostomy bag that has a separate barrier for the skin and a colostomy pouch. For patients that also require cheap urinary leg bags or cheap catheters, please check out our other posts.